You may contact me using the Email Me link above. 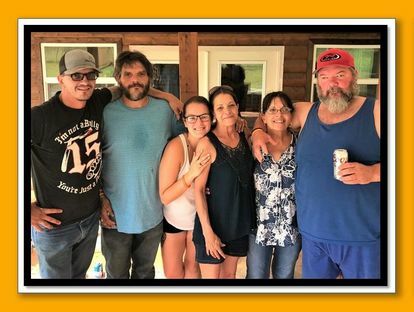 We had a great time getting to know the family of Jim’s Vietnam buddy, “Louisiana” a few months back when they graciously invited us to join their family reunion in Oklahoma. While some sisters and other family members were unable to join us, we had a GREAT visit with Harold’s son, sisters, nephews, and more, swapping stories, and learning more about Harold Thomas. Jim was excited to see Harold’s photos from Vietnam, especially since he did a great job of labeling most photos with names on the back. 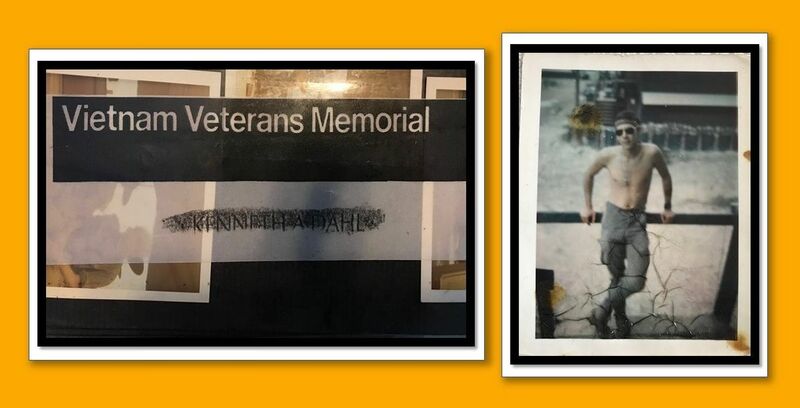 We found some familiar faces in those photos and Jim was able to put together some more puzzle pieces of his Vietnam memories. One of the highlights of the day was when Jim presented Harold’s sisters and son framed photos of Harold & Jim together in Vietnam, along with the now famous photo of a shirtless Louisiana & his big smile! It was the smile they all remembered and loved so well. 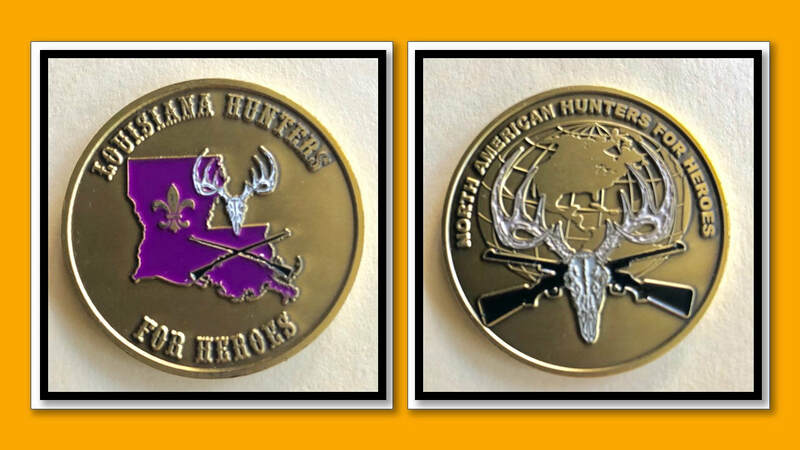 In addition, Jim delivered a gift on behalf of one of the groups that helped us search for Louisiana - The Louisiana chapter of Hunters for Heroes. This is a great national organization that is dedicated to giving back to our country’s wounded veterans and military heroes that have served in combat by arranging for hunting and fishing trips. When the Louisiana chapter heard of our story back in May, they joined us in the search. When Harold was identified, they asked us to deliver a special gift to his son on their behalf - a challenge coin. 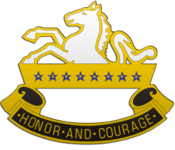 The issuing of challenge coins is a tradition of the military used to honor exceptional individuals. It was Jim’s privilege to present the challenge coin to Harold’s son on behalf of the Hunters for Heroes and in doing so, Jim challenged Harold’s son to be the man his father would want him to be. It was an emotional moment for us all. Harold’s family was overwhelmed by the outpouring of response from America and offered gratitude to all who were a part of the search and one of his sisters wrote this: “ I just want to say thank you to all of you that remembered my brother after all these years and I thank all of you that spent so much time searching for him when we as a family never knew he was lost. I can see him now, looking down with that big grin he always wore giving the thumbs up and saying “Love you guys”! It was a great day of reunion with lots of great conversation, a few tears, and lots of hugs. We had a hard time saying goodbye when it was time to leave. His family recorded a few videos to share their gratitude to all who helped in the search for Louisiana and we’ve posted them on our Facebook post. The worldwide “Search for Louisiana” was a crazy phenomenon we could not have predicted. It revealed the heart of Americans and caring people around the world. Jim, Doug, and Stan recorded a simple little video message, speaking directly to their Brother-In-Arms named Louisiana and it was viewed more than 4 million times - 4 MILLION!! When this began in late May, I had about 250 FB friends, with about 40 from Louisiana. Eventually, more than 165,000 people shared my post. We had more than 22,000 comments on my original post and thousands more on all the shared posts. Incredible!! Countless volunteers jumped in to help with amazing commitment. We even had one American man who lives in Vietnam showing his picture to village elders in the region where we knew him to be! We could not have done it without you all – truly. We heard from so many that you became captivated by our search for Louisiana and it quickly became YOUR story too. This speaks volumes about the thirst in our country (and around the world) for human connections - for meaningful, positive relationships. And it speaks volumes about America’s love and gratitude for her veterans. All those comments and not one – not ONE! – negative comment. Not one incidence of name-calling or insults, even when sometimes others disagreed. Not one person used profanity. Not one political degradation, from either side – and this was quite remarkable, considering that the Vietnam war was so politically divisive that it almost destroyed our country. This is restoring our hope for the American spirit, that we can reasonably and respectfully come together for one another with positive results. It is our prayer that our nation comes together once again, just as we did after Vietnam and after 9-11. I have always held great respect for veterans from all wars, including Vietnam. But it wasn’t until I married Jim Garvin that I began to understand (in a very small way) what it means to have served in this war. Until 3 years ago, Jim rarely spoke of his war service, for within the first year of his return (1971), he quickly learned it was best not to speak of Vietnam and he suppressed most of those memories. 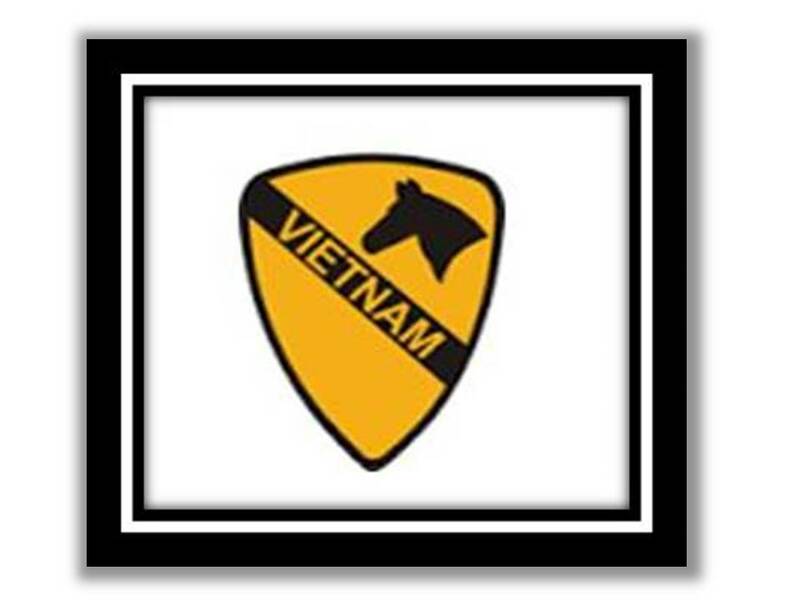 It was only 3 years ago (2015) that I convinced (well, maybe “pressured” would be more accurate) Jim to attend an Angry Skipper Reunion of the 1st Cav, 2nd/8th Airmobile Unit in Vietnam 1965-1975. He didn’t want to go, as he had intentionally avoided the memories of Vietnam for 44 years. But he finally agreed to go and what we both experienced was life-changing. While at first frustrated that he couldn’t remember anyone there, they remembered him. He was presented with a “Welcome Home” quilt, handmade by one of the wives; it hangs in a place of honor in our home today, along with Jim's war medals. He was invited to give the invocation at the banquet where he prayed, asking God for healing for 40+ year old wounds, both physical and those of the heart. And you can see in his photo (left)) that it was very emotional for him when he was asked to carry the flag for his first photo with his brothers-in-arms in 44 years. Late one night, with great emotion, he shared with me, “I didn’t want to go to Vietnam. I just did what my country asked of me. I thought that was the honorable thing to do. Why did my country hate me for it when I came home?” He still doesn’t understand and neither do I. There were also lots of smiles and hugs that weekend and we formed lifelong relationships. 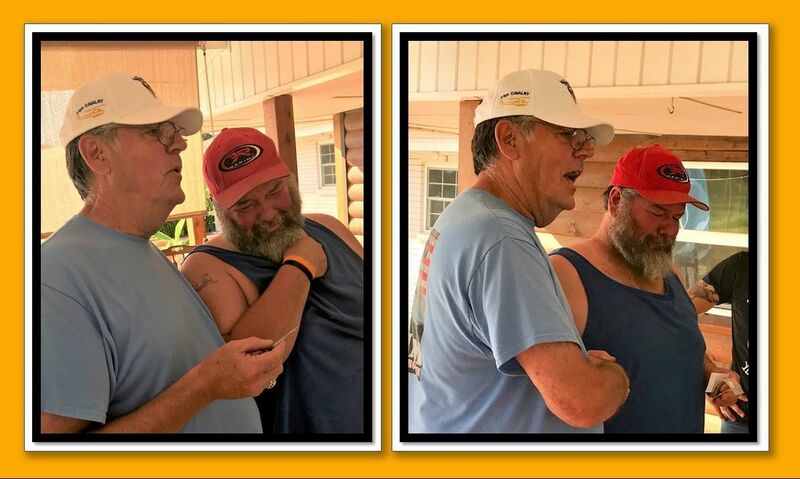 Most importantly, Jim continues to hear “Welcome Home, Brother”, each time we attend his annual reunion. I can’t express what this does for his healing heart or what it does for mine. Many of Jim’s Vietnam memories have returned in these past 3 years and we are very excited to be hosting the 2019 Angry Skipper Reunion in Dallas-Fort Worth next May. We are hopeful that “Louisiana”’s family members will attend as well, and that they, too, can learn more about what it may have meant to Harold to serve in this band of heroes. ​You may contact Jim using the Email Me link above. We found Jim’s Vietnam buddy, “Louisiana” and are so happy to finally know "the name his mama gave him" to be Harold Thomas, from San Jose California. 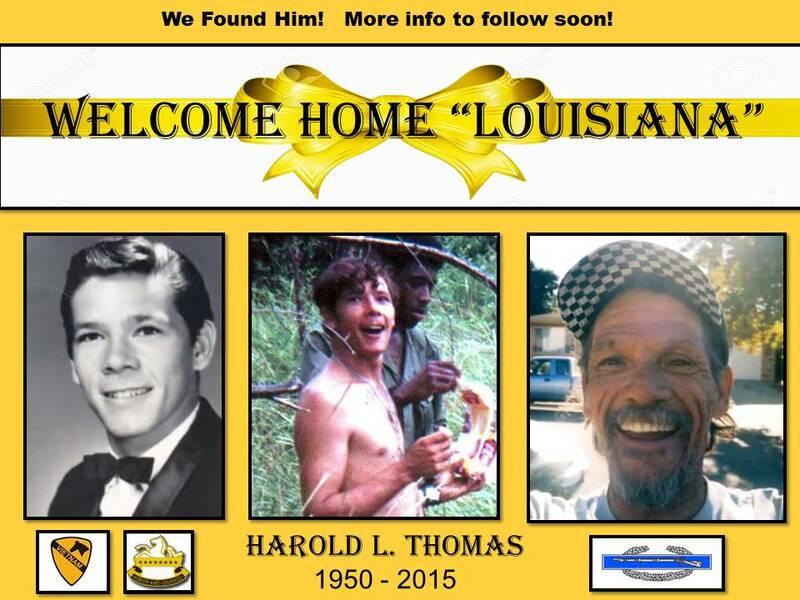 Like most of you, we were excited about a reunion between Louisiana and Jim filled with lots of back-slapping, huge grins (both guys have great smiles), and a tear-filled “Welcome Home, Brother!” Like you, we were saddened to learn that Harold passed away from a heart attack in 2015. However, we spent most of the past 2 days visiting with his family and friends and are finding great joy in swapping stories as we learn more about this man who has captivated all of our attention. The first words we hear from everyone is that Harold was adored by his family and friends! No surprise to us, as he seems to have captured thousands of hearts around the world in these past 2 weeks! They describe him as “a good man”, a strong family man all his life, loved by everyone he met, and “a believer in God and Jesus.” They tell us he liked to repeat, “There are no atheists in foxholes.” Jim and the other combat veterans would tell you the same. 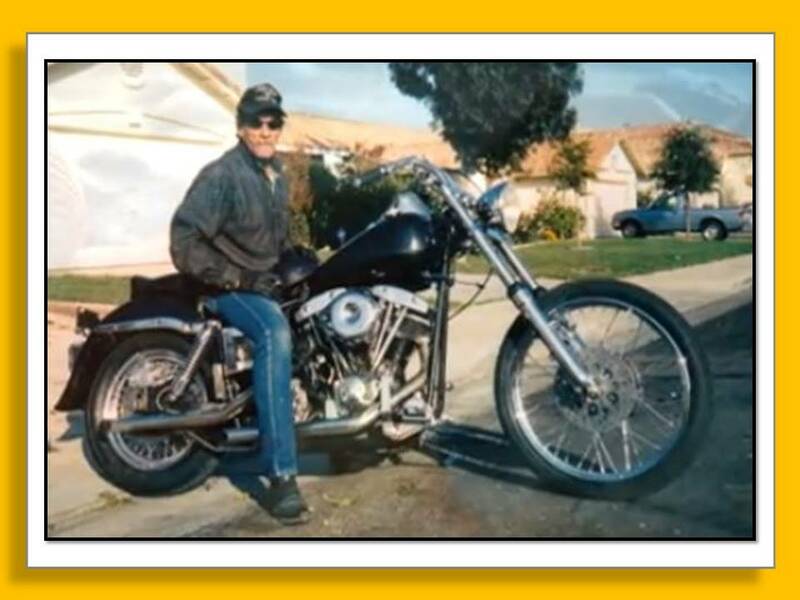 Harold worked as a roofer most of his life but his real passion was his lifelong love of motorcycles. 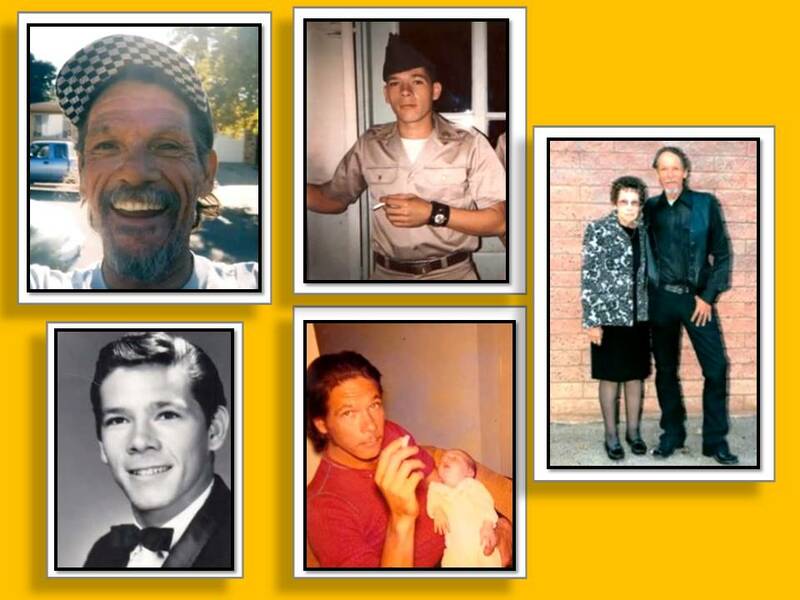 His family says, “There was nothing he enjoyed more than to hit the highway on his Harley with the wind and the bugs in his face and his many friends by his side.” He grew up with a large, close family and was especially proud of his only son. He was devoted to his mother all of his life and she was very proud of his military service. One of the family’s favorite stories is that when Harold had a layover in Hawaii on his way to combat in Vietnam, he took time to send his mother a dozen red roses. The picture of their mother holding his bouquet is a family favorite. His mother was overjoyed to welcome him home from Vietnam in 1971 and with his always-jovial personality, he came home by surprising the family, hurrying unannounced across the lawn, decked out in his dress green Army uniform, decorated with ribbons and medals, only outshone by his big, “Louisiana” smile that we’ve all come to know so well. We thank you all for the 167,000 shares, almost 4 million video views, and 21,000 comments on our post. Louisiana’s family tells us that he would have found America’s outpouring of attention and “Welcome Home” comments to be the highlight of his life. We were overwhelmed with over a hundred leads and photographs and thought we had found him several times in the past weeks. But always, something was inconsistent. While I (Susan) was “certain that every soldier we reviewed was Louisiana, each time, Jim and his platoon buddies always said a firm, “No”. Finally, a lead came from another one of the Angry Skipper vets but after we got his name wrong, we searched in vain for 3 days. Once we discovered our error, we passed his real name along to one of our expert volunteers and she found his obituary online. All it took was one look for Jim to exclaim, “That’s him!”. His sisters saw our post shared in California last week and while they considered that maybe it was their brother, they gave up hope. We called the family and the tears and the stories flowed between us. 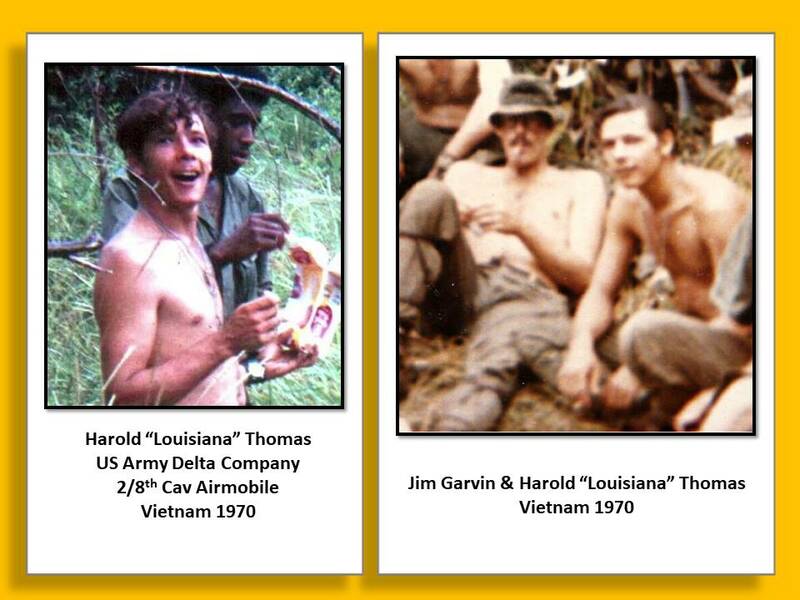 After hours of conversation, one sister told us, “Harold would have LOVED you guys!” We have invited them to our next Angry Skipper reunion in May 2019, where we hope to introduce them to more of Louisiana’s brothers in arms and share stories of their favorite Vietnam vet. So now the question everyone is asking - Why did they call him Louisiana? In fact, when Jim first called the family, he had to ask that very same question, “If he lived in California most of his life, why did he ask us to “Just call me Louisiana”? “ They laughed and shared that Harold never lived in Louisiana and in fact, had never even been to Louisiana! They told us that Harold was born in South Carolina, moved to Oklahoma and then to California around age 7, where he lived for the next 58 years. But apparently he never lost his childhood southern drawl. After addressing his northern California friend as “Y’all”, he was nicknamed “Louisiana”. Apparently he loved the name and his friend because by the time he arrived in the jungles of Vietnam, when people asked his name, his response was, "My friends call me Louisiana." We began this search for Louisiana 2 weeks ago and were quickly joined by all of you. THANK YOU for allowing Louisiana into your hearts and sharing his smile with the world. THOUSANDS of you sent “Thank Yous” and “Welcome Homes” to Louisiana, Jim, and the other veterans. Sweet words these guys have waited to hear for almost 50 years! Our guys are overwhelmed at your outpouring of encouragement and gratitude. We can never express the deep gratitude we have in our hearts for all of you. Thank you! When asked in every interview, “Why is it so important to find Louisiana, Jim always said, “I just want to give my buddy a hug and say “Welcome Home, Brother!” Thousands of you gave Louisiana’s family the gift of knowing their father, husband, and brother was welcomed home by a grateful nation, one more time. As one of our several long family conversations came to a close, one of Louisiana’s sisters said her goodbyes and then closed with, “And by the way, Jim, Welcome Home”. 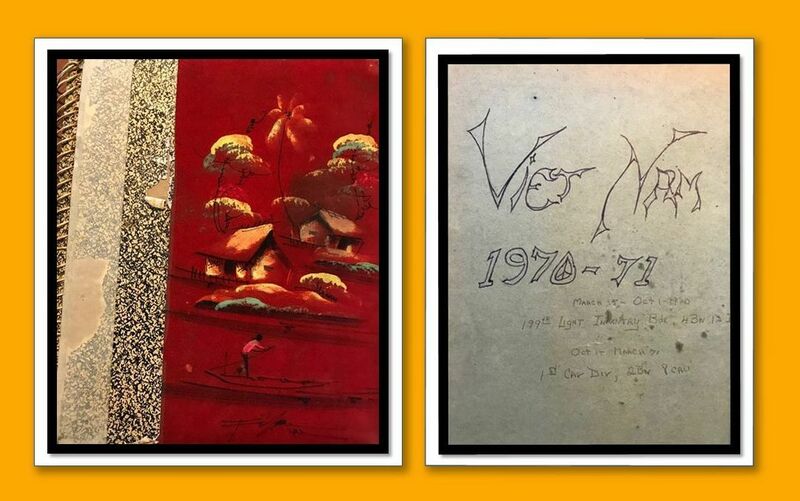 Click here for ​Jim Garvin's Vietnam photos.